Before Combat Ezren casts mage armor and shield before the start of the encounter. Without mage armor and shield, Ezren's statistics are AC 15, touch 14, flat-footed 13. 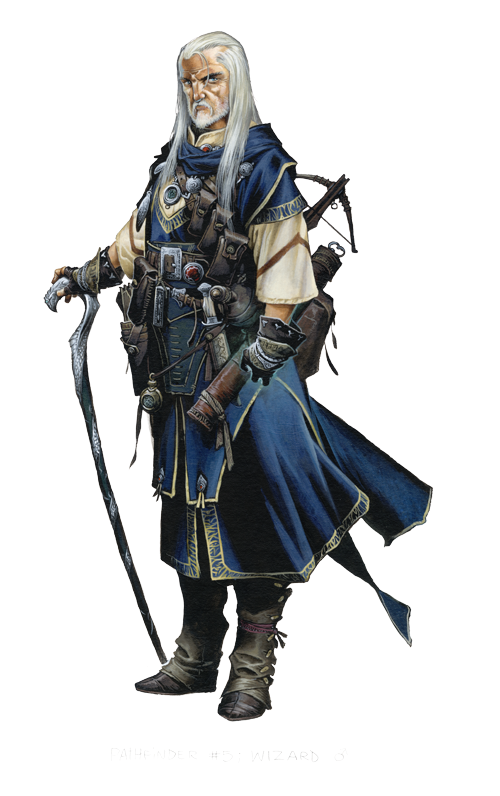 *If you are playing in a Pathfinder Society Organized Play game, replace Scribe Scroll with Spell Focus in a school of your choosing, and Ezren gains the Focused Mind and History of Heresy traits.